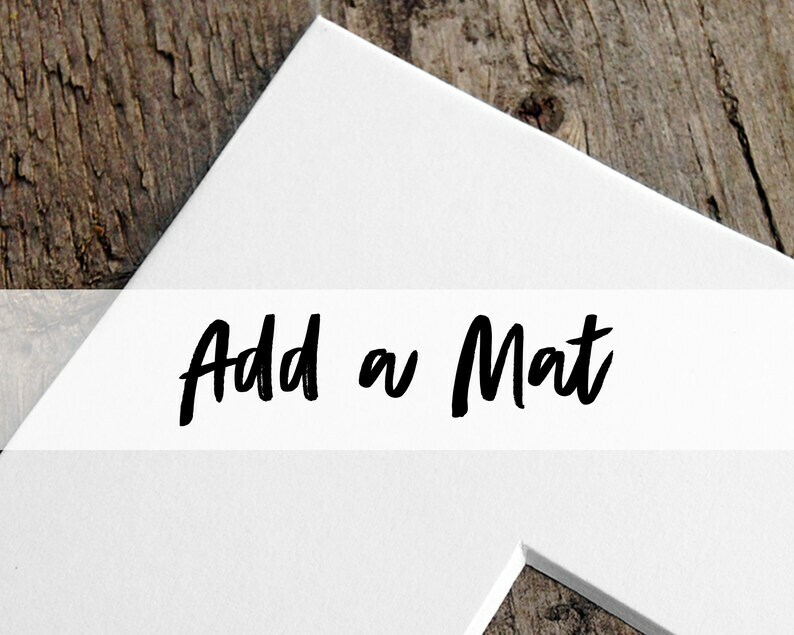 Add a white art mat to your order! If you are purchasing a 5x7, 8x10, or 11x14 art print and would like to include a white art mat, add this item to your cart before you check out. This art mat and backing board offer is only good when you purchase one of my designs. The customer service for this product is above and beyond!! Perfectly sets off the picture!